Told in 12 short episodes, Godard borrowed the aesthetics of cinéma vérité to tell the story of a Parisian woman's slow descent into prostitution, with the result being a landmark of his career. 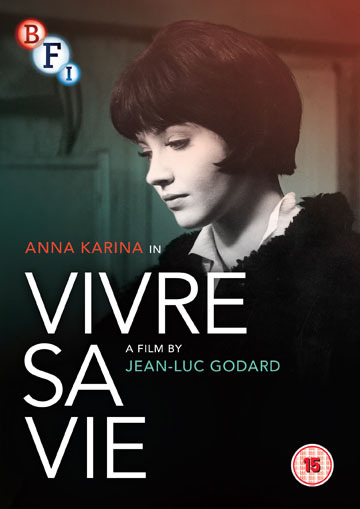 A classic of French New Wave cinema, Vivre sa vie has been described as ‘a perfect film’ by Susan Sontag and ‘astonishing’ by fellow critic Roger Ebert. Jean-Luc Godard’s critically acclaimed drama tells the story of Nana (Anna Karina), a young Parisian woman who works in a record shop but finds herself disillusioned by poverty and a rapidly failing marriage. With dreams of becoming an actress and making it in the film industry, Nana is disappointed when nothing comes of it, and she quickly turns to a life of prostitution. When she finally meets a man (Peter Kassowitz) who truly cares for her, Nan’s hope returns but Raoul (Sady Rebbot) her pimp may have the final say. Told in 12 short episodes, Godard borrowed the aesthetics of the cinéma vérité approach to documentary film-making that was fashionable at the time with the result being a landmark of his career.